Keep your can cold and your hand warm! We can brand as few as 100 Can Grips™ with your logo or message. Unlike common promotional items like ballpoint pens, koozies, frisbees etc, the Can Grip is a low priced promo item that will really create buzz and not get tossed out in the first five minutes. In fact, we get thousands of visits to our site who received the Can Grip as a promo item and want to order more for personal use. 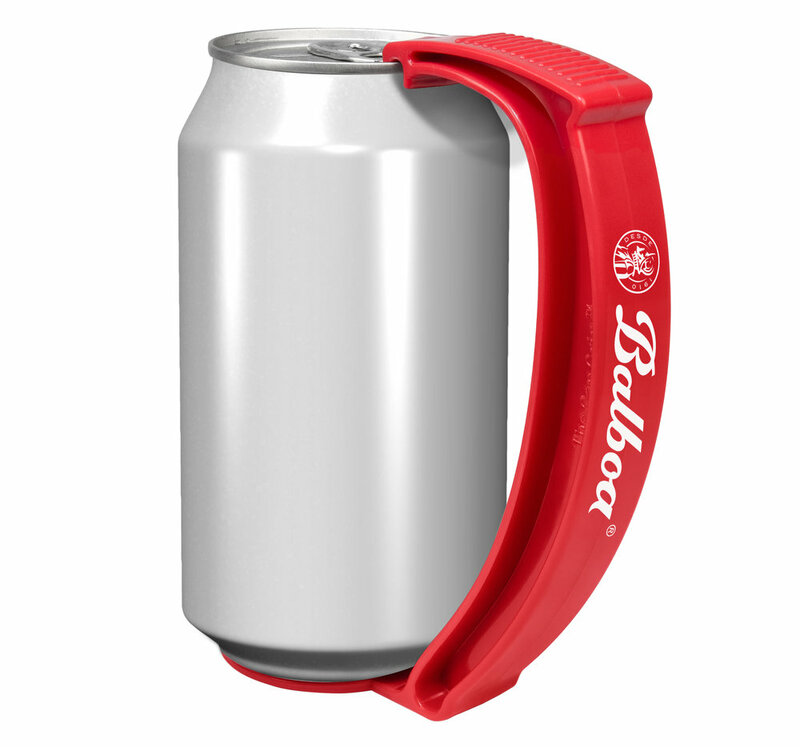 The Can Grip easily snaps onto any standard 12oz can. Once the beverage is finished you simple squeeze the can and the grip comes right off. Send us your logo and we will send you virtual mock up of how your logo would look on the Can Grip. Don't have a logo? Thats ok - we can print any message you would like. Just let us know how you would like it to read. Our standard production time is just 2 weeks. In many cases we can even speed up production to just a couple days. We print domestically at a Southern California print shop and pay close attention to quality. We have big clients order up to 1 Million Can Grips at a time. No job is too large for us to handle. E-Mail us today for a price quote. The Can Grip™ clips to any standard 12oz can turning your can into a mug.